In 2019 - Saturday, October 5, from 10am to Noon! St. John's Episcopal Church hosts this special event to celebrate pets and the special place they hold in our lives. Church members and the community are invited to bring their pets of all kinds to the church grounds to receive a blessing (Blessing of the Pets ceremonies to be offered in both English and Spanish), and stay to enjoy other pet-related activities. There will be pet games and prizes, presentations and demonstrations, info on dog training, grooming, veterinary care and more! And there will be treats for the pets! St. John's Annual Pet Spectacular! Information to help your pet thrive! 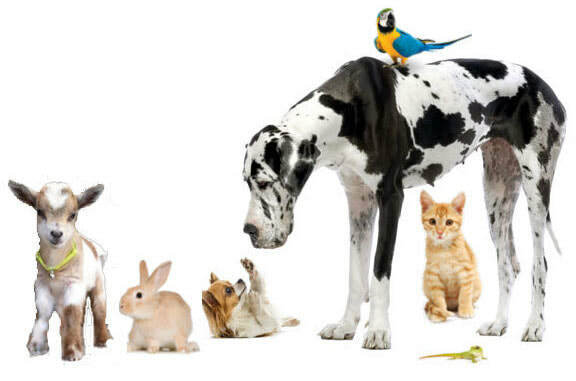 Jesus said He came to bring "life abundant" (John 10:10) and we figure that includes your pets! Sign up on Facebook, here, for reminders!